Character - Scoundrel. Points: 13/16. Health: 10. You can attach any weapon to this character, ignoring play restrictions. 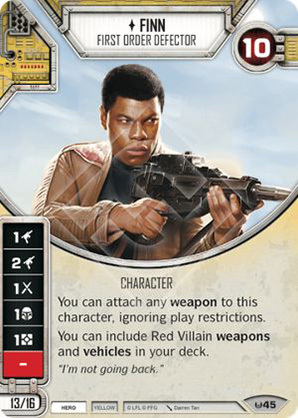 You can include Red Villain weapons and vehicles in your deck.